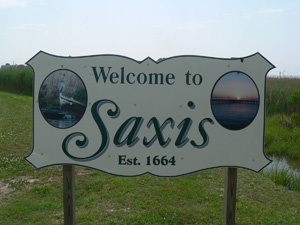 The Saxis Island Museum was created to preserve the history of Saxis Island and to document the lives of the people that made a living in the waters of the Chesapeake Bay. While documenting the fading lifestyle of the Saxis Island watermen, the museum will help educate current and future generations on the dangers of misuse of the Chesapeake Bay and its ecosystems. The Saxis Island Museum is incorporated in the State of Virginia as a not-for-profit organization and has a 501(c)(3) tax exempt status from the Federal Government. The documents of incorporation can be seen below.